Inside the DJI forge of technical innovation, engineers have crafted the smallest 3-axis stabilized handheld gimbal camera. 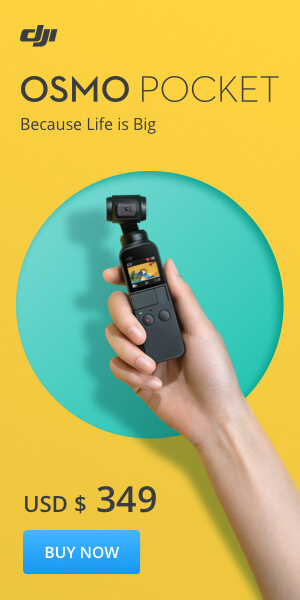 Embodying the perfect balance of form and function, Osmo Pocket transforms pocket-sized adventures into epic cinematic experiences. All of this filmmaking capability inside a device that fits comfortably in your hand! My name is Gurdhit, and as a writer and a crazed foodie, I’m always on the move and in pursuit of brilliant moments that are worth sharing. 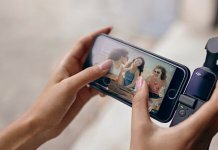 Whether you’re strolling through a busy city or traveling thousands of miles for that one special dish, having a compact device that shoots smooth footage is truly a game changer. Today, we’ll be looking in-depth at Osmo Pocket and discovering how it copes with the challenges of spontaneous filming. 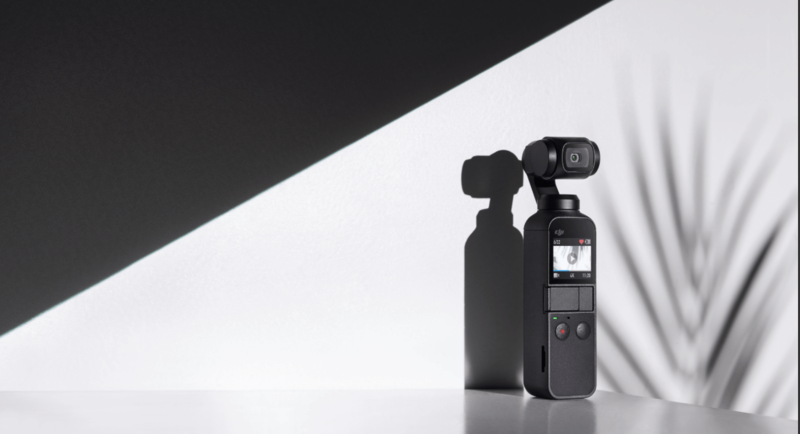 As DJI’s smallest handheld gimbal camera, Osmo Pocket offers boundless potential for travelers, vloggers, and those that want to capture the beauty of life. I decided to take Osmo Pocket with me for a day to see whether I could transform everyday moments into memorable scenes. This is where our journey begins. Before we dive into our big plate of adventure, let’s take a quick look at Osmo Pocket. True to its name, Osmo Pocket is a compact handheld device that fits snug in the palm of your hand. 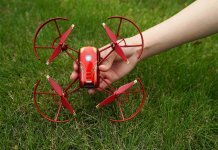 Thanks to its portable design, you will have no problems taking it around and filming with it throughout your day. The device comes in a classic matt black color and features a rounded ergonomic design. The handle is non-slip and sweat-proof, which means you can comfortably film for the entire day. 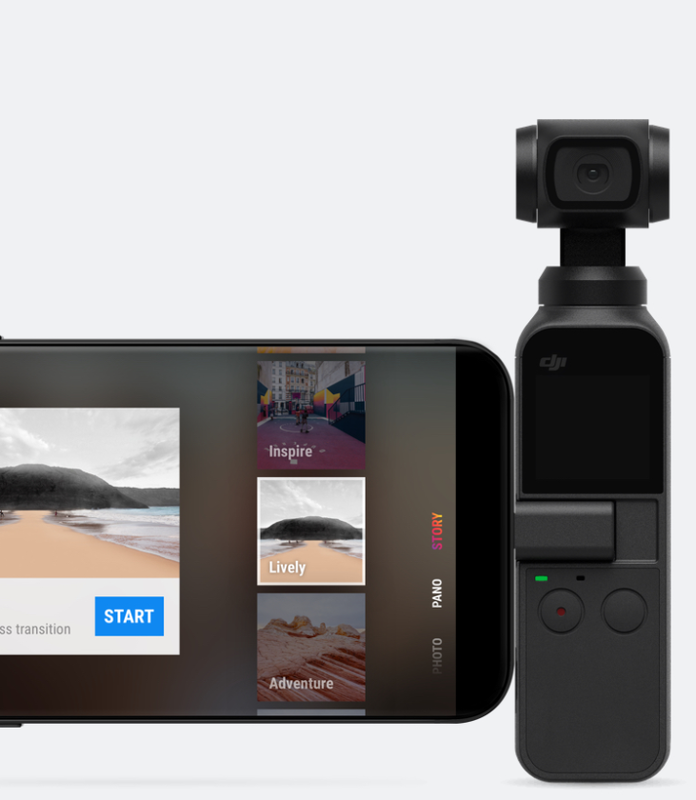 At the heart of Osmo Pocket is an incredible 3-axis mechanical gimbal which automatically stabilizes your footage, allowing you to focus more attention on capturing the perfect shot. Osmo Pocket can capture photos in breathtaking detail thanks to a 1/2.3-inch sensor, 80° wide-angle lens, and f/2.0 aperture. It also serves as a powerful tool for filmmaking, shooting 4K/60fps video at 100Mbps. 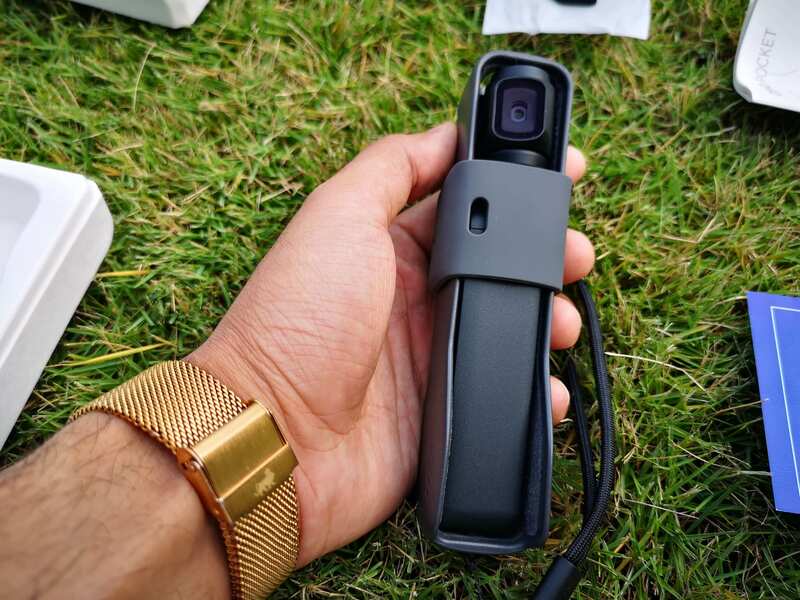 ​On the front side of the device, there is a 1.08-inch integrated touchscreen that can be used for a live view or playback and device navigation. Underneath the LED screen are two dedicated buttons. The left button enables you to take a picture or start and stop recording a video. The button on the right can be used to turn Osmo Pocket on and off. One click and you’re ready to go! For a more intelligent and efficient shooting experience, ActiveTrack recognizes, follows, and films your subject of choice. Osmo Pocket also features FaceTrack which automatically detects your face during Selfie mode, keeping you in the spotlight of your adventure. Osmo Pocket’s Universal Port is a multifunctional expansion interface that connects the device to your smartphone and several other accessories. When you connect it to your smartphone, you can use your smartphone screen to control Osmo Pocket and access its features. DJI Mimo was developed for anyone who has a story to tell. This dedicated app automatically opens when you connect Osmo Pocket to a smartphone. 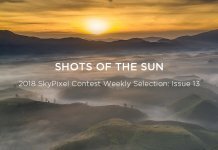 It extends your creative potential with editing tools and provides a platform for its own photography community, opening the door to a world of visual storytelling. 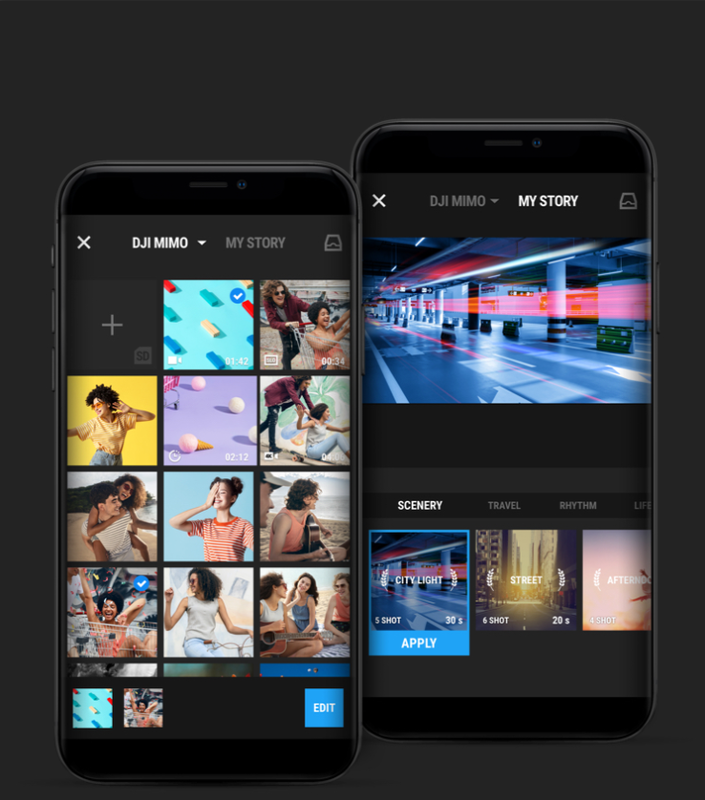 My Story was developed for both beginners and experienced users, offering a robust editing suite to take visual storytelling to the next level. 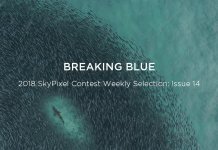 You can use this function to create unique videos that you can share on your social media channels. 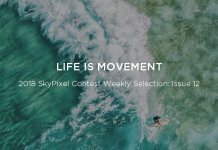 Story mode is another alternative option that can be directly accessed from the camera view, offering a variety of stylistic editing presets that help bring your creative projects alive. 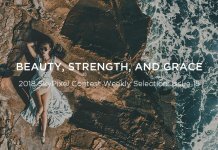 You can choose from many expertly designed templates and soundtracks to elevate your footage. This feature will be available to use soon! As well as providing a connection to your smartphone, the Universal Port also serves as a multifunctional expansion interface, which unleashes your creativity with a collection of perfectly suited accessories. 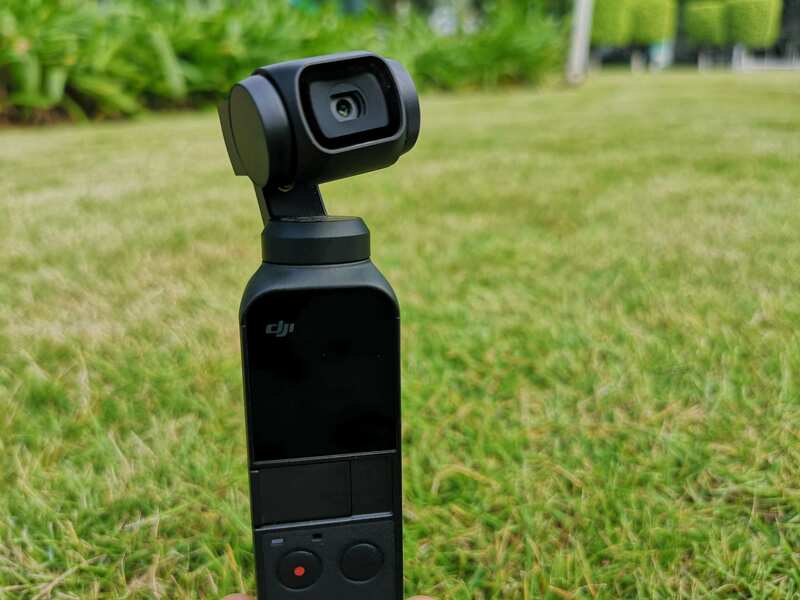 This includes a Wireless Module, which provides Bluetooth, Wi-Fi connectivity, and transmission so you can control the gimbal using your smartphone. Additional accessories will be available soon, including a waterproof case that allows you to shoot footage at a maximum depth of 60 meters! Without further ado, let’s begin our adventure! Osmo Pocket triumphantly delivers as a portable camera that’s ready for the big moments in life. Its 3-axis mechanical gimbal is excellent at adjusting unwanted movements and producing smooth cinematic footage. During my morning walk, I came across a group who were practicing Tai Chi in an old courtyard. Osmo Pocket allowed me to get incredibly close to the action and the gimbal stabilized the shot with ease. As the sun continued its daily ascent, I decided to give Osmo Pocket its next challenge. I turned the device on and selected the Motionlapse function using the interactive touchscreen. This mode allows you to take a timelapse while the camera is moving, introducing a stunning motion effect to your footage. Owing to its incredibly small size, I was able to safely position Osmo Pocket on a flat surface and started recording. After five minutes, my Osmo Pocket had effortlessly accomplished its first Motionlapse. When you are on the prowl for exciting footage, the last thing you want to worry about is carrying around bulky camera equipment and accessories. To be on top of your game, you need to react quickly to whatever the situation presents. Osmo Pocket really comes into its own in these moments. The device turns on in seconds, shooting smooth footage whenever your moment arises. Shooting clear, stable footage is often achieved when you use a large camera on a tripod. 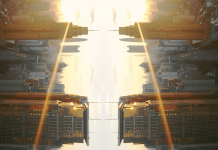 While this method is reliable, these types of static shots limit your freedom to move around and fully immerse your viewer. This is why I decided to get right in the thick of the action and use ActiveTrack to film from a more personal perspective. I headed down to a local food market, where vendors were engaged in their early morning preparations. While the local butcher was busy with his daily activities, I enabled ActiveTrack by selecting him on my smartphone screen. In a matter of seconds, Osmo Pocket was able to track his every movement accurately. This feature gave me the complete freedom to film without disturbing others in their daily activities. 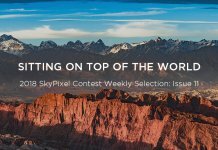 Food photography is a huge passion of mine, and as a writer of a food blog, I would welcome any device that can capture the magic of my culinary adventures. With this in mind, I took Osmo Pocket right into the heart of the kitchen to see if it was up for the challenge. In just a few seconds, I was able to capture pictures in stunning detail thanks to Osmo Pocket’s 1/2.3-inch sensor and 80° wide-angle lens. Having a device that shoots this easily makes traveling all the more fun! 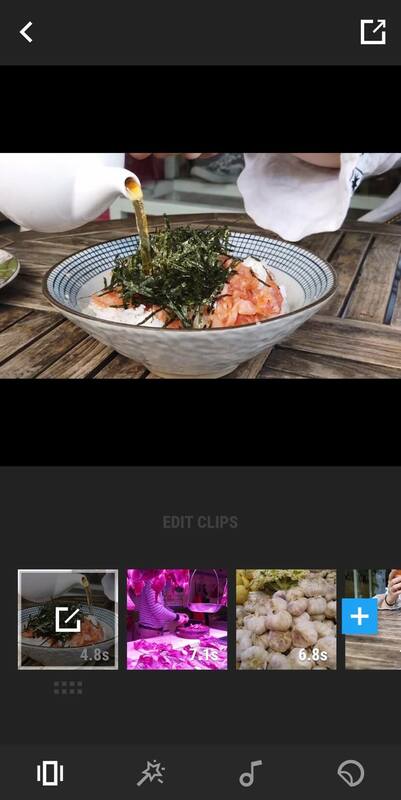 Osmo Pocket also features a Slow Motion mode, which is incredibly easy to select from the interactive menu. 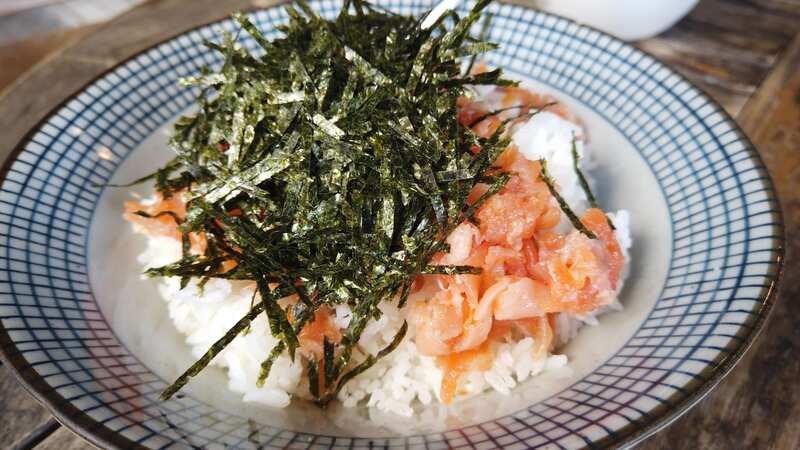 In just a few seconds, every tantalizing part of my dish was captured in glorious high-definition detail! Combining slow motion and stabilized footage provides a delicious slice of action. During the middle of the day, I decided to dust off my tennis rackets and hit the courts. Eager to immerse the viewer in this moment, I took Osmo Pocket with me to record my perspective. The FPV mode cleverly allowed the camera to follow my every movement, letting the viewer experience an uninterrupted flow of twists, turns, and all-round magic on the tennis court! Osmo Pocket also has an intelligent FaceTrack mode that enables the device to automatically track human faces, which makes taking vlogs and selfies incredibly easy! After rotating the camera around using the interactive touchscreen, FaceTrack automatically recognized my face and let me record instantly. This feature is incredibly responsive and it was able to keep my face in focus even as I rotated the device (and spun around in circles). To capture your destination with breathtaking definition, Osmo Pocket can take a 180° and 3×3 Panorama. What surprised me most was how easy it is to obtain this kind of shot. 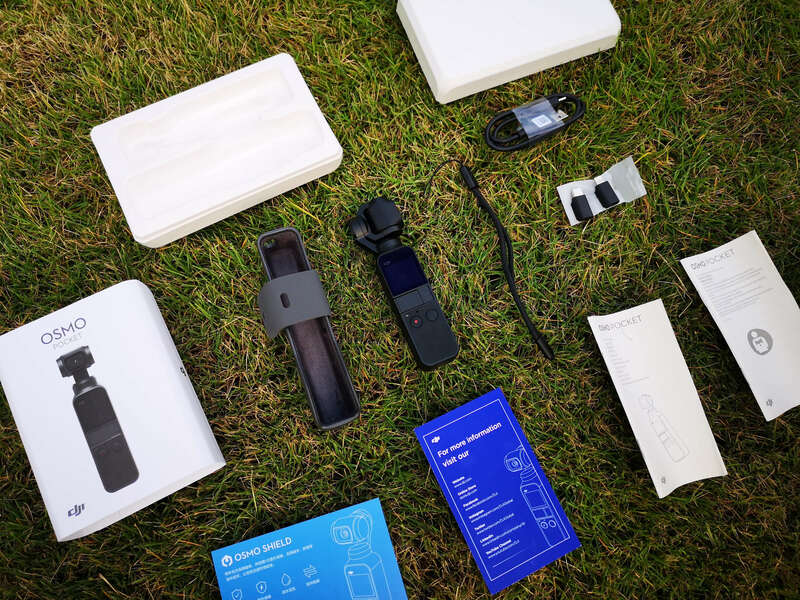 After selecting the mode on Osmo Pocket’s interactive screen, I held the device out with one hand and the camera automatically rotated in different directions to capture the panorama. Travel adventures extend far beyond the reach of daylight. Many film-worthy scenes and spontaneous moments come alive in the night. With this in mind, I set out to discover how Osmo Pocket performs in low-light conditions. The 3-axis mechanical stabilized gimbal eliminated any unwanted movement and kept the camera perfectly stable for great low-light footage. Developed with convenience and endurance in mind, Osmo Pocket has a battery life that supports a 140-minute video. I was able to take it everywhere with me during the day and obtain a variety of different shots. And thanks to its one-hour fast charge, I was able to boost the battery to a 90% charge! After a full day of filming, Osmo Pocket stood triumphant, having effortlessly surpassed all the challenges thrown its way. What impresses me most about Osmo Pocket is how easy it is to take smooth professional-looking footage. 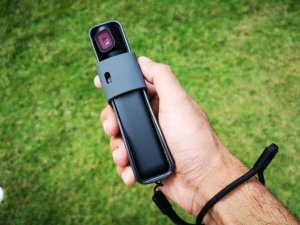 The device is extremely portable and starts within a few seconds, which gave me the freedom to film spontaneous moments as they arose throughout my day. Whatever my journey brought to the plate, Osmo Pocket handled the challenge with ease. For anyone looking for a portable device that effortlessly captures the beauty of life, DJI Osmo Pocket certainly delivers. A new dawn for handheld stabilization is here.